This is a delicious blend of multi-grain flakes with sweetened dried pineapple, papaya and sultanas for a delicious breakfast with wholemeal cereals and plenty of fibre. The perfect food to start the day with flavour and energy. Ingredients Barley flakes, oat flakes, wheat flakes, sultanas (14%), dehydrated sweetened papaya (10%) (sugar, papaya, preservative: sulphur dioxide), raisins (9%), dehydrated and sweetened pineapple (5%) (sugar, pineapple, citric acid, preservative: sulphur dioxide) For more information on product labels, please contact our Customer Service department. The information on the labels of the products may vary for reasons beyond our control, therefore, there may be discrepancies between the information on the site and that on the products delivered. Please always check the information on the product before consumption or use. 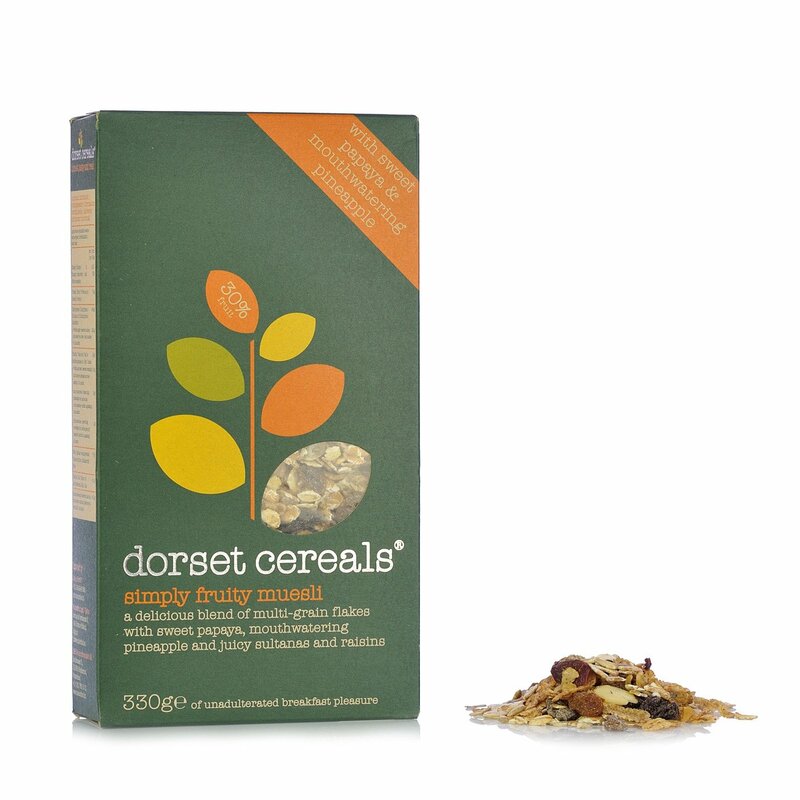 Dorset Cereals: understanding that life's too short to spend it eating low quality food. That's why this delicious line of cereal-based products is made using simple and selected ingredients, skillfully blended to provide the body with the required quantity of specific nutrients. The high quality of the ingredients, authenticity of the blends, and production performed in compliance with nature and the environment are the distinguishing traits of a company that has placed health at the core of its values.